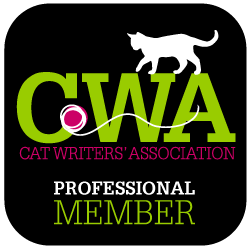 You are here: Home / Cat Health / Is There A Low-Cost Way to Deal With Cat Fleas? Hi I’m a lover of cats, and I have 8 cat that I adore. I’m not coping with keeping on top off their expensive flea treatment, though. Its gotten so bad that I can’t see a way out! Rehousing any off them is not a option for me–my cats are my world, and the oldest one 18 years old. I’m even considering shoplifting the treatments, that’s how bad I need help. One of my cat bleeds from scratching her head. I’m in tears as I’m writing this but I’m so desperate. Help me please! Thomas: Oh, Patricia, we feel for you! 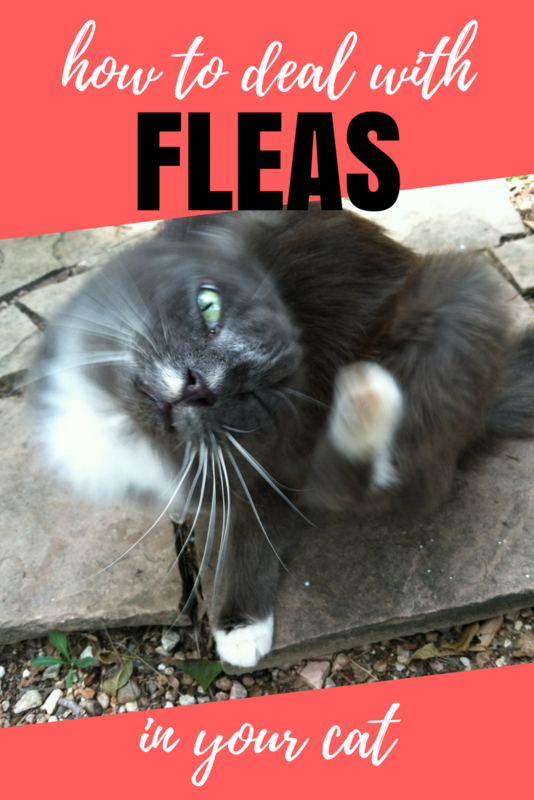 Cat fleas are incredibly frustrating to deal with, especially if your budget isn’t going to handle topical flea treatments. But the good news is that we can help! Bella: See, the first thing to realize is that fleas don’t just live on cats; they live in bedding, carpets, and furniture as well. So in order to really deal with a flea problem, you have to clean the environment as well as treat the cats themselves. Tara: Yeah, fleas are no fun. When I was outside wandering around looking for a home, a sweet alley cat took pity on me and snuggled up with me on a particularly cold, wet night. 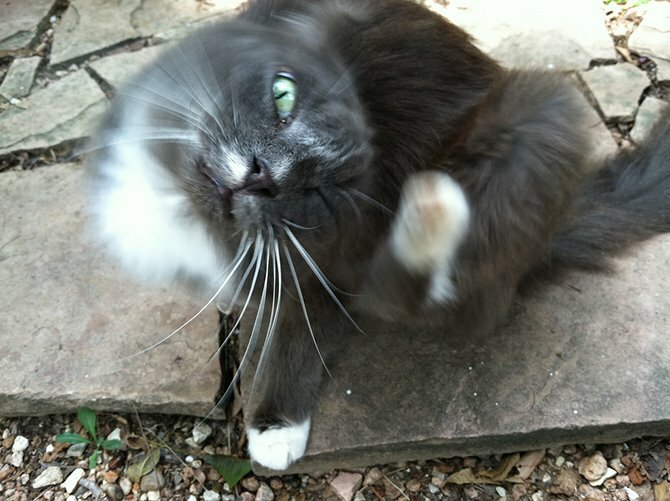 While I certainly was happy for his kindness, he did give me fleas…and I wasn’t as excited about that. Especially when the vet put the goop on me! Thomas: But we’re glad you didn’t have fleas by the time you came home to live with us. Bella: Anyway, Patricia, the lowest-cost way to deal with cat fleas is also the most labor-intensive. Tara: Mama says that when Siouxsie and Sinéad (may they frolic happily in the catnip-filled fields on the other side of the Bridge) were just tiny baby kittens, they got fleas. Thomas: They were way too young for topical flea treatments, so Mama had to think of another way to get rid of the fleas. And here’s what she did. Bella: First, she made a 50-50 mixture of common table salt and baking soda. Then she sprinkled it all over the furniture and carpets, and even in their bedding. Tara: Then she let it sit for a good half hour or so. Thomas: Then she vacuumed it all up, and threw the vacuum cleaner bag away out in the dumpster before the fleas could get out. Tara: Vacuum thoroughly every single day, disposing of the stuff in the vac bag outdoors each time. You’ll only need to use the salt and baking soda mixture once a week. Thomas: In addition to vacuuming, you need to wash your cats’ bedding once a week, in hot water, to get rid of any fleas, eggs, or larvae hiding there. If your cats get on the furniture and on your bed, wash sofa slip covers, blankets, and quilts, too. Bella: This is also something you’ll have to do once a week. Tara: See, we told you that getting rid of cat fleas can be labor-intensive. But it’s worth it if you want to avoid toxic products or you need a lower-cost solution than good-quality topical treatments. Bella: Always use a cat-safe shampoo. It doesn’t have to be a flea shampoo, though, just one that’s formulated for cats. Tara: *shudder* I don’t want a bath! Thomas: It’s okay, Tara. Mama would never give us baths like that unless we had fleas or we were really dirty. Bella: Since you’re not going to be washing your cats’ heads, the odds are good that you’ll find some fleas taking shelter there. So you’re going to need another technique to get rid of those. Thomas: And Mama recommends the drowning method. Bella: But wait! Didn’t you just say you’re not going to bathe the cats’ heads? Thomas: That’s right, but that’s not exactly what I mean. What I mean is that you should fill a jar with water and put a thin film of dish soap on top of the water. When your cats are sitting in your lap, you may see fleas occasionally. Pluck the fleas off your cats’ heads and drown them in the water with dish soap. Bella: Don’t drop the fleas into that water, though; they’ll probably be able to hop away and lay more eggs if you let them go. Tara: You can also crush the fleas between your fingernails, if you have long enough fingernails, that is. Thomas: You’re going to have to continue this routine for about a month before the flea infestation is cleared up. Bella: Yes, cat fleas are incredibly frustrating, but you can deal with them without using toxic products, if you’re willing and able to put in the work to accomplish this routine. Tara: While we’re on the subject of fleas, we want to be sure that if you do use topical flea treatments, you use the kind distributed by your vet. Those products tend to be more effective and safer for cats than the grocery store treatments. For example, our vet sells Cheristin, and that’s what we use when we have topical flea treatments. Thomas: What about you other readers? Have you had a flea infestation? What did you do about it? Please share your experiences and tips in the comments! I'm Unemployed and My Cat Has Fleas. Help!